The new semester means buying books, planning papers, and forgetting about last month’s exams for most students. But some are still waiting on final marks from last term. School policy is that grades must be submitted seven calendar days after the exam, or 14 days for classes without exams. Despite that guideline, there are still students waiting to find out their marks. “I didn’t go out of my way to complain about not having them,” says third-year student Helen Pike. There are no specific consequences for instructors who fail to submit marks on time. The process is more reactive then preventative. If the registrar’s office notices that a class or individual students are still waiting to be graded, they contact the professor. If the professor fails to complete the marks within a reasonable amount of time, the faculty dean is contacted. 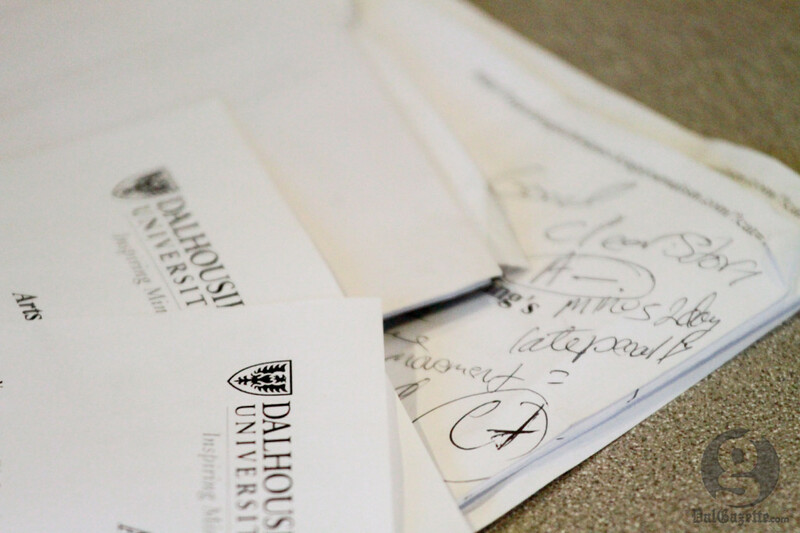 “After the notices and calls to remind instructors to submit grades, we submit a report to the deans of each of the different faculties if there are still outstanding grades in their faculty,” explains Mairead Barry, the associate registrar and director of admissions at Dal. While the wait is inconvenient, the registrar’s office says it’s an inevitable evil that comes with trying to schedule thousands of students’ exams without overlap. His exam was scheduled towards the end of exam period, which over 200 students took and wrote approximately 10 pages each, which he and his TAs were expected to grade on top of the 12-page term papers within one week. One of his TAs had been double booked with another class and was unable to mark as many as the others, and the papers had to be sent back and forth physically across the continent. Inconvenient and arguably avoidable, yes, but by no means the mark of incompetence or spite. “On the flip side I also felt bad, because there was just one of them and so many of us,” says Pike. Barry says that they do what they can to arrange the exams to benefit everyone, but they can’t book every large class in the first few days. Instructors have to deal with the time and try to submit the marks when they can, which can be hard to remember sometimes. “We have an academic standing and dismissal process here at Dal,” says Barry.